Axel Sparre (1652-1728), was a Swedish count and field marshal. He was born in Visby on January 9, 1652, into the noble family of Axel Karlsson Sparre and Margareta Oxenstierna of Korsholm and Wasa. Axel Sparre started his military career in the Danish army in 1672 and served until 1675. He then joined the Swedish army and participated on the side of the Swedes in the Swedish-Danish War (1676-1679). In 1676 he was promoted to the rank of captain of the Life Guard Regiment. After only one year he was promoted to lieutenant colonel of the Närke-Värmland Regiment (1677). Sparre was a staunch supporter of absolute monarchy. Based on his support and that of others like him, the Swedish parliament declared the fifteen-year old Swedish crown prince King Charles XII when he came of age in 1697. In 1699 Sparre was appointed colonel and commander of the Västmanland Regiment. Immediately after the battle of Narva in 1700 Sparre and his Västmanland Regiment joined the main force of Charles XII’s army and participated in almost all of the main battles of the Great Northern War. 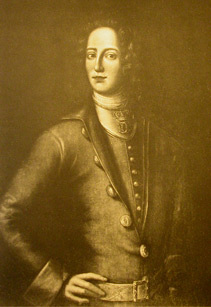 As commander of the Västmanland Regiment he distinguished himself for bravery in the battles of Düna, Klissov, and Fraustadt, and was promoted to major general in 1705. In the Battle of Poltava Sparre was in command of one of the four columns of the Swedish infantry. He avoided being taken prisoner of war and accompanied Charles XII on the way from Perevolochna (on the Dnieper River) to Turkey. In 1710 he was elevated to lieutenant general. During the February 1713 skirmish at Bender (now Moldova) he temporarily became a Turkish prisoner of war. When the Swedish king started his journey back to Sweden, Sparre was appointed the commander of the Swedish detachment in Bender that consisted of about 1,000 soldiers. The withdrawal of the Swedish detachment from Turkey while taking care of its logistical support proved to be a very difficult mission for him. In addition, he was also responsible for the support of King Stanislaus of Poland, who had arrived in Bender some weeks after the skirmish. At the end of 1713 Axel Sparre was promoted to general of the infantry. In September 1714, he started the long march from Bender to Sweden. In October the Swedes caught up with Charles XII and his convoy in Pitesci (Valakiet). The Swedes continued their march through Siebenburgen, Hungary, and Germany. In February 1715, Sparre handed over the command over his detachment to General Carl-Gustaf Hårdh. He spent 1716 and 1717 as the guest of and envoy to the Count of Hessen. From1717 until 1718 he stayed with King Stanislaus of Poland as a guest in his palace in Zweibrücken. After Sparre’s return to Sweden in 1719, his cheerful mood and good sense of humour made him a "persona grata" in the eyes of King Charles XII. Sparre was a gifted amateur portrait painter. His portrait of Charles XII, created during the king’s stay in the Turkish Empire, is preserved in the art gallery of Gripsholm Castle. After the death of King Charles in Norway 1718, Sparre supported the rise to power of Prince Fredrik of Hessen. His support of the prince, who was subsequently crowned King Fredrik I of Sweden, benefited Sparre’s later career. 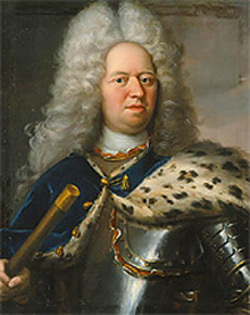 Soon after King Fredrik’s coronation Sparre was raised to the rank of count (1720) and was promoted to field marshal (1721). 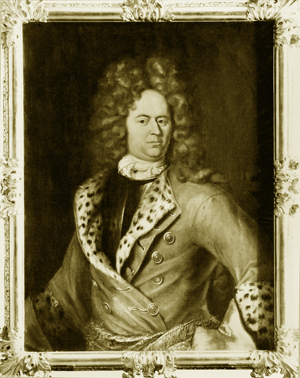 Axel Sparre died childless on May 31, 1728, at Brokind Castle in Östergötland.